Is it bad manners to sell your bridesmaid dress after the wedding (and do you tell the bride)? "It's a bit off for you to actually make a profit out of it"
You may not have Katherine Heigl's hideous 27 dresses hanging in your wardrobe as a daily reminder of how wonderful you are as a best mate and maid, but if you've had pals who've tied the knot, chances are you have one or two bridesmaid gúnas gathering dust as other items of clothing pass them on the way to the charity shop. And no matter how much you may (or may not) have loved them at the time, ask yourself - what are the chances of you wearing one again? That's the dilemma one ex-maid has found herself in, and has taken to Mumsnet to thrash out. 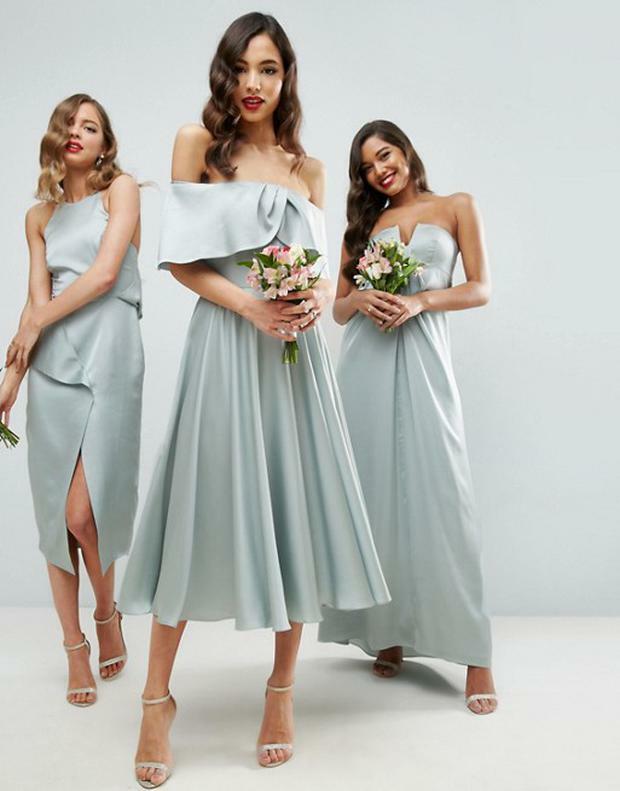 "I'm guessing it's a bit of a 'marmite' subject so I'm a bit hesitant to ask the bride," user MiniMummy576 says, "Is it bad manners to sell a bridesmaid dress?" "The reason I want to sell it is that it's been hanging around taking up space, it's too big for me now and it's not a style I like so I'd never wear it again. Also I'm a bit short of money at the moment so I'm having a huge clear out and flogging anything that's not nailed down!" 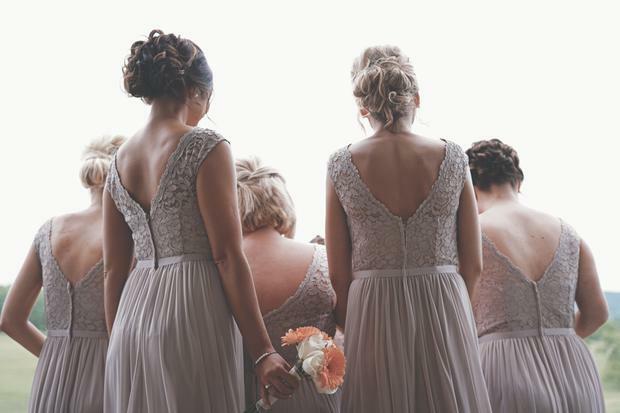 While in the US it's common practise for bridesmaids to pay for their dresses, in the UK and Ireland it's usually up to the couple to fork out the cash for their bridal party, and it's with that in mind that most of the advice came down to etiquette. "If the bride paid for it, you should really offer it back to her, or check if she minds and give her the money from the sale," said one user. "It would be a bit precious of her to be upset that you weren't going to treasure it forever, but it's a bit off for you to actually make a profit out of it." "I paid for my bridesmaids's dresses," said another, "but made it clear they were a gift to them and it was up to them what they did with them after the big day." However, for the poster, therein lies the problem as she notes that while she was sure the bride bought her cover-up for the dress (a fur shrug) she was unable to figure out if she put forward the money for the gown. "I have no idea whether I paid for it or not...which is part of the issue I suppose. If I ask her it could make for an awkward conversation... I know I paid for something, but can't remember what it was." One user and former bride said she bought her maids their gowns, and didn't mind what they did after with it. "I'd rather they sell it than having it hanging in a cupboard and not worn again. But I'm not very sentimental at all," she said. "The only time I've been a bridesmaid the bride asked for the dress back to sell," one ex-maid said, but added that there was no way she was ever wearing it again. "The only time I'd be a bit hmm is if you were the sort of person who asked me to bank transfer 58p after splitting a bill, if a normal give and take friendship then go for it," said another. One user said it could depend on timing: "How long ago was the wedding? If it's been a while, you're fine, honestly. Maybe not if it was last week," while another said it could be done, but discreetly: "I think you would be fine to sell it, just maybe do it discreetly e.g. Not on local Facebook selling sites." "I would just sell it and not say anything. I can’t see why anyone could expect you to keep it, it’s not like it’s your wedding dress so no need to keep it for ever."